What’s the best way to pay those who deliver home care services? The issue, which is well-studied and discussed, remains elusive when it comes to firm answers. It also remains a point of seemingly endless debate and consternation, which isn’t surprising when so much money, deep implications, and sensitivities collide in one discussion. But there is no longer denying what is happening in countries like the United States. As healthcare costs spiral into the stratosphere -- driven by a tsunami of baby boomers who are not only living longer but doing so amid escalating rates of chronic diseases -- governments and healthcare organizations must grapple with how to manage the bottom line while providing top-notch care. 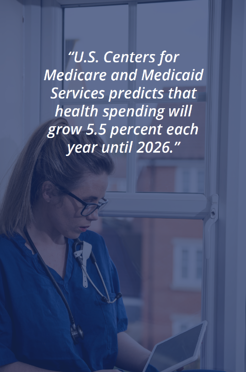 The overall picture is jarring: the U.S. Centers for Medicare and Medicaid Services predicts that health spending will grow 5.5 percent each year until 2026 -- when it will absorb 20 percent of the country’s economy. The number: $5.7 trillion. Fortunately, abetted by the rise of technology, we’ve reached the age of efficiency -- even when it comes to navigating the weeds of complex payment systems and dramatic economic scenarios. Even when it comes to healthcare, and the world of home care within it. 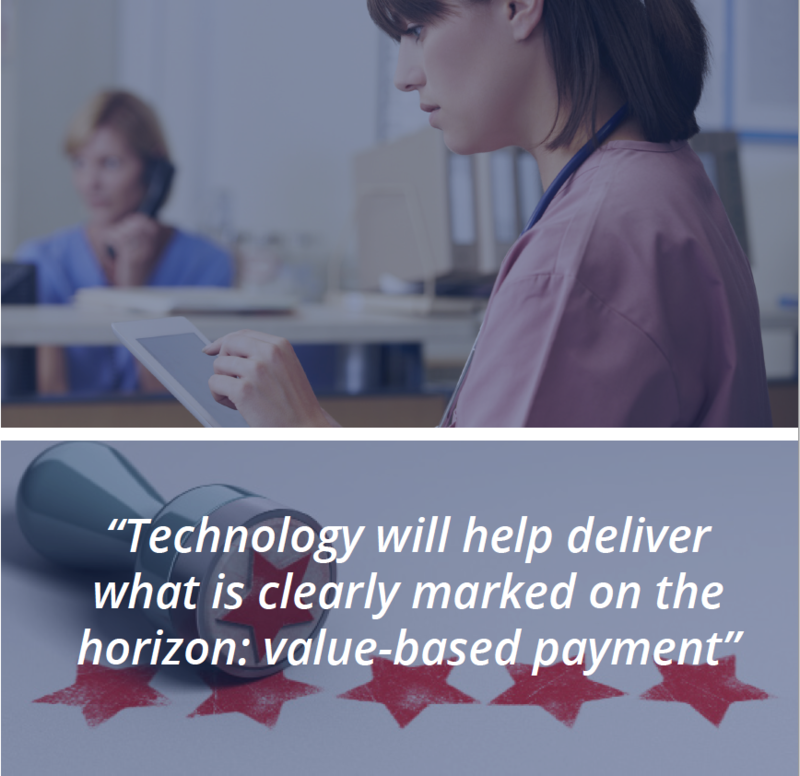 Technology will help deliver what is clearly marked on the horizon: value-based payment (VBP). The shift from fee for service to VBP or “pay for performance” -- when it comes to doctors, nurses, radiologists, home health workers, imaging specialists, technologists, therapists and the spectrum of allied health workers -- is coming and in many ways already here. Health policy discussions have given way to actions. Organizations in the business of delivering care who are prepared for this shift will be the same ones that thrive in a new marketplace. Fee for service is a retrospective payment for a specific service that is delivered to patients, either on a visit-by-visit basis or by an annual fee schedule. The concept emerged in the U.S. in the 1930s when “traditional indemnity” health insurance coverage began to cover a submitted claim for a service you paid to receive. At that time, prepaid insurance plans defined the providers, set premiums, and ultimately set the stage for the “managed care” of the decades to come. In the fee for service (FFS) model, negotiated or officially defined rates determine the amount that insurers and other payers reimburse healthcare professionals for their efforts. This model places the emphasis on productivity: the more patient visits squeezed into one day, the greater the reward. In theory, that can be positive: for instance, patients have quicker access to the services they need. FFS is also a flexible model, used in any geographic location and by caregivers of any size or structure -- from a sole practitioner’s office to a multi-center organization. In theory, that can be positive. But, for more than a decade, a rising tide of experts have viewed FFS as an outdated payment system. Furthermore, it is charged at being at the heart of the nation’s unmanageable health care costs. As we’ve awoken to the implications of FFS, the move to change this system -- albeit at a glacial pace -- is on. No cost control: FFS incentivizes care providers to deliver more (and more expensive) services. Unnecessary services: Providers face no pressure to avoid doing costly tests or procedures that may not be necessary. This causes inefficient care that brings the patient in contact with the healthcare system more often than needed. No accountability: In rewarding the volume of patients, FFS does not hold providers accountable for the quality of care they deliver. Not modern: FFS is purely limited to patients seeing their providers during in-person visits. The system’s face-to-face nature is not conducive to coordinated care, nor modern care elements like remote patient monitoring and other ways of delivering care virtually. Fragmented care: FFS has done nothing to slow this huge issue in healthcare, where one patient’s many caregivers operate in silos. Because FFS is about one provider per interaction, it simply doesn’t encourage the management of care among multiple providers in different places. Unsustainable. Inefficient. Becoming untethered to FFS means realigning the delivery of care and rethinking payment incentives for health-care practitioners. While the U.S. routinely ranks first in the world in healthcare spending, indicators show that health performance in the country lags well behind other comparable nations. So, we spend the most money per capita, but our collective health does not improve over others who spend less. Clearly, something needed to change, which gave rise to the value-over-volume idea. Today, the future is here and value-based purchasing (VBP), is here to stay. Value-based care is reimbursement tied to the quality of care provided. In the past decade, it has emerged as a strong alternative concept to the FFS model. Paying healthcare professionals for performance has been hotly debated for some time. Detractors point out that there is relatively mixed evidence whether VBP can improve the quality of care and reduce costs. That’s likely because we haven’t watched it in play long enough: we are still in the zone of potential. And the potential is significant -- not the least of which is to fix America’s broken healthcare system and make its population healthier. In VBP, payment correlates to each provider achieving a suite of defined, measured goals tied to such aspects as quality of care, patient experience, patient outcomes, and resources used. Through this model, we can overcome the negative issues associated with FFS. Ultimately, for this to work, people across all sectors must buy into a new, coherent strategy that structures the provision of healthcare around accountability, coordination, efficiency, and self-evaluation governed by hard data. What has held the shift to VBP back are the challenges it presents. On one hand, how can we accurately gauge performance when caring for patients is such a complex job? The system certainly wouldn’t want a situation where physicians started to avoid treating high-risk patients because their own performance might suffer. Or to halt services for patients who didn’t comply with their treatment advice. Healthcare itself represents a swell of moving parts, including primary care, emergency care, pharmacists, home care, imaging specialists and therapists of many sorts. In other words, it is not a typical business. No single payment method can be viewed as a silver bullet. There is no single model appropriate for all types of care, across all settings, in all locations. Yet, what’s certain is that the movement toward value-based purchasing shows no signs of abating. These programs provide incentives for primary care practitioners on a case-by-case basis or are structured around contracts. Whatever the arrangement, providers get bonuses or reduced payments based on their ability to hit benchmarks for quality and efficiency. This interesting VBP model takes the expected cost for one episode of care -- a heart attack, for instance -- and shares it among a wide range of providers who will provide services to that patient. This includes what happens in the hospital, extended care facilities, home care environments, community programs, and even housing. This model helps cut down on unnecessary services, fosters coordinated care, and keeps the patient safe. 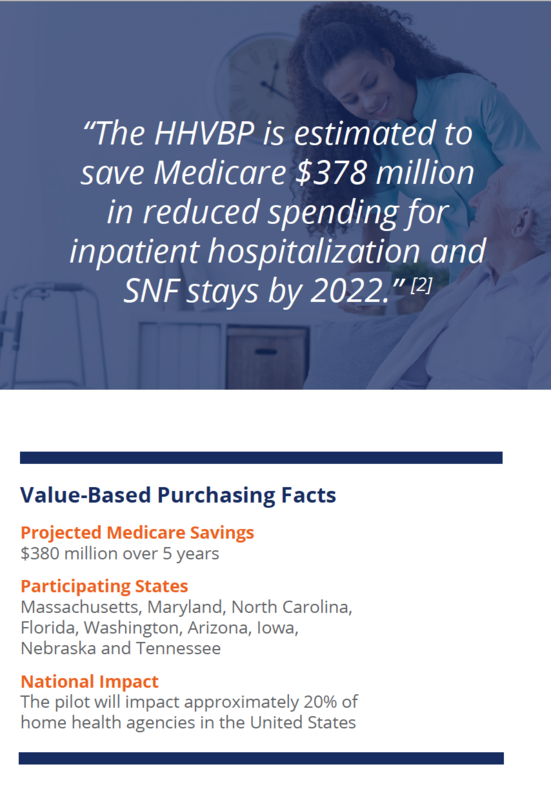 This VBP model rewards providers who hit pre-determined quality measures while not surpassing an annual spending goal. In doing so, it wraps incentives around cost control and quality improvement. Here, providers enter into contracts with, say, a managed care organization, for the chance to grab a greater share of cost savings -- but accept the possible risk of a financial loss. In that case, an organization loses money if cost targets are not met. A VBP system based on an overarching payment to a provider for each patient, over a specific period of time, regardless of how often or is that patient seeks care. That provider is then in charge of a specific set of services covered for that patient. ACOs are multidisciplinary groups of providers and facilities that unite to deliver coordinated care while staying accountable for care quality and cost control of their patients. Through sensible management, dedicated professionals are set up to deliver efficient care and be eligible for a share of the savings generated by achieving the quality and spending metrics. PCMHs are also a widely adopted form of VBP, whereby a primary care physician leads a team that delivers efficient, quality patient care. In this focused approach, each patient in a PCMH sees one doctor whose team delivers coordinated care across the health system. 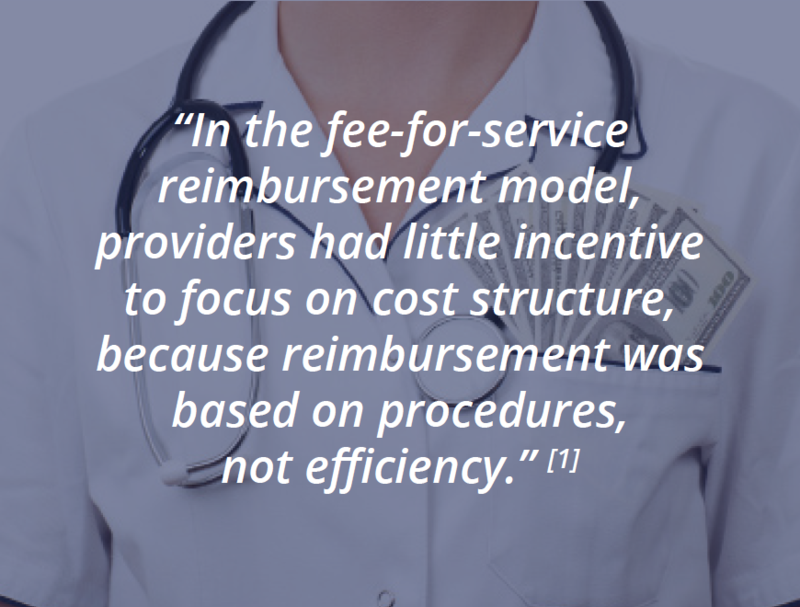 Reimbursements recognize the value of this level of care coordination. In the U.S., market forces were already leaning toward a value-based system before bills like the Affordable Care Act rubber-stamped pay for performance as a key part of Medicare. The move away from FFS was officially on. Plenty of private insurers quickly followed suit. Other commercial payers have begun to lean toward VBP models. While shifting financial models is a major challenge facing healthcare, we can safely assume where that shift is heading. As it stands, there continues to be a paucity of good evidence as to how to run an effective VBP program, and definitive metrics on how it can lead to better outcomes. Thus, this shift is underway filled with far more expectations than answers. Still, times are changing for the nation’s Health Maintenance Organizations (HMOs) and Preferred Provider Organizations that sit in the Managed Care Organization (MCO) landscape. Times are changing for Medicaid agencies. Times are changing for private duty home care companies that have direct connections to health systems. What they will all need to share: a renewed and deep focus on patient outcomes. Some of the largest home care franchises -- like Homewatch CareGivers International -- are investing in ways to integrate with this VBP shift in healthcare, to solidify private duty as a key component in coordinated care that supports outcomes. Agencies themselves won’t be affected by reimbursement shifts, but they must stay flexible to accommodate wherever the wind takes other areas of healthcare. Agencies are increasingly expanding and consolidating, trying to cement their positions along the continuum, help reduce rehospitalizations, and answer the need for value-based care. Meanwhile, states across the country are rolling out their own independent VBP initiatives. New York state, for instance, is fast implementing its Value Based Payment project which would replace its multibillion dollar Medicaid system. Across the U.S., many home care agencies are in the early stages of getting their outfits ready for VBP. According to the Home Care Association of New York State, only seven per cent of surveyed home care agencies report to be engaged in VBP. “Movement from current payment models to Value Based Payments will have major impacts,” the association notes. There is only one way to get ahead of those impacts. If we hone in on home care, it is abundantly clear that technology will be needed to manage the incoming world of VBP. Agencies will need the right software to clearly track how patients and clients are doing and demonstrate the value of the care delivered. Those who run referring sources like hospitals and skilled nursing facilities will want to know this information now more than ever. This doesn’t have to be a daunting proposition: in fact, VBP brings opportunity to the table for everyone on the continuum of care. Providers can build the infrastructure and innovation needed to fulfill this new value-based care, and the result will be more integrated data systems, registries and tools to promote integrated care in many places -- home care included. The need for seamless flow of data and analytics will be off-the-charts important. Such information will show, and indeed prove, just how much both medical and non-medical services boost the quality of life and outcomes for clients. Any paper-based reporting will be very problematic in the VBP environment. 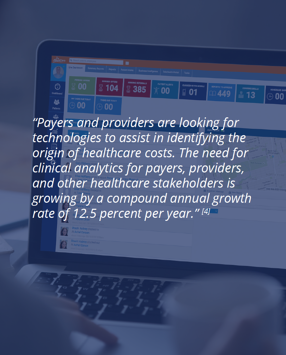 Technology plays the number one role in the shift toward value- and outcomes-focused care. Agencies will ultimately need to capture real-time data, build out new analytics, track performance management, have greater synergy with reporting needs, and incorporate predictive analytics where possible. Providers will have to figure out how to track quality depending on their VBP setup. Home care agencies must be ready for any assortment of quality performance metrics that payers build into their payment system. These will include metrics related to health system usage, like percentage of clients admitted to hospital in the past 90 days, as well as those related to patient’s quality of life -- loneliness, distress, uncontrolled pain, etc. The transition from FFS to VBP will take years and in that time, the pressure to grow revenue through the new payment model will be significant. All providers will want to hit the ground running with VBP, as they will likely have absorbed some losses in the preparation period. Home care agencies must hit the ground running right along with them. AlayaCare is a fast-growing company that produces award-winning, cloud-based home healthcare software. 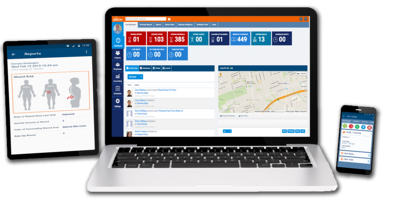 With an end-to-end solution spanning clinical documentation, remote patient monitoring, client and family portals, mobile care worker functionality, APIs for system integration, a virtual care module and more, we are uniquely suited to confront the challenges inherent to VBP. 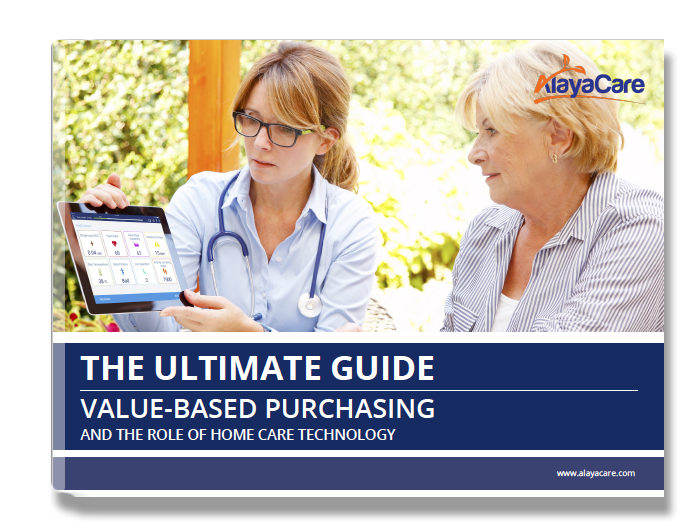 As the only truly outcome-focused solution in the home care space today, AlayaCare not only offers the means to first collect and report on the data for payers, MCOs and referral sources, but allows home care providers to use AI tools to predict adverse events and see trends to intervene if necessary, prior to seeing any failing VBP metrics. AlayaCare is already engaged in a multi-partner concept study called SmartCoach -- which proved that remote patient monitoring and modern technology can reduce costly heart-related hospital readmissions and emergency department visits. These are precisely the type of outcomes that VBP programs will measure. As mentioned, this issue is complex and many questions remain as to the best way forward. But one thing is certain: the best technology will help pave the way forward for the future success of VBP.